Is there any better way to say farewell to summer than crossing a Greek Island off your bucket list? I think not. At the end of July, Vuleing had an amazing sale on airfare and I scooped up super cheap tickets (direct from Florence, no less) to Santorini. Santorini has long been on my bucket list, and I am excited to explore the island, take a ton of pictures, and eat all the Greek food! 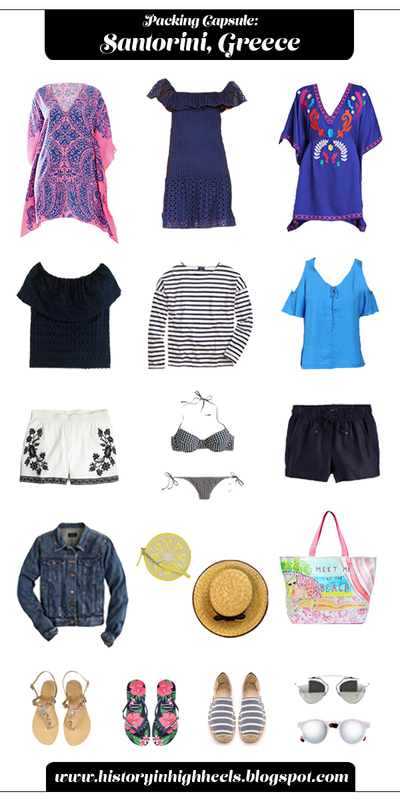 Here is what I am packing for my end of summer adventure. It looks like the weather will be amazing - highs in the eighties, lows in the sixties, and clear skies. Following me on Instagram and Snapchat (HinHH) for lots of updates!